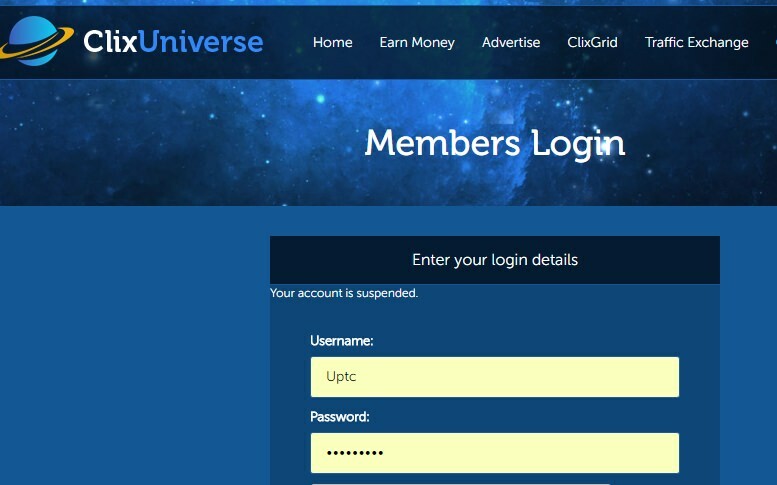 www.clixuniverse.com He suspended my account just because I asked for a $ 2 bailout payment. I've lost a lot of time looking for referals and in vain. . Be aware of this and it can happen to you.